How do you appeal to the young demographic? That is the biggest question OEM’s and everyone invested in the motorcycle industry is trying to answer. One tiny piece to a complex puzzle is that Harley-Davidson applied for 3 trademarks starting in early December requesting the names “HARLEY-DAVIDSON BRONX” “Pan America” and “48X”. Both trademarks were filed with the U.S. Patents and Trademark Office on December 8th, December 19th and December 20th. Here is an interesting story from NASDAQ. Harley-Davidson (NYSE: HOG) knows that if it wants to reverse the tide of falling sales, it’s going to need to appeal to motorcycling’s purported new rider demographic: young, urban, and increasingly female. And what better way than with a motorcycle that evokes the gritty feel of the city? 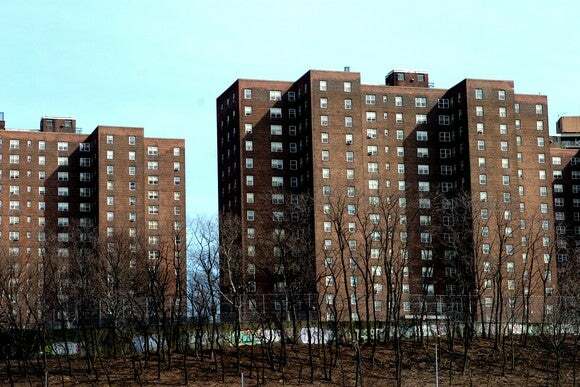 If there’s an urban environment that still has that visceral, edgy feeling, it’s the Bronx, one of the five boroughs of New York City. Brooklyn has gone hipster, Manhattan is too upscale, Queens, though ethnically diverse, is cultured and artsy, and Staten Island, well, it doesn’t feel like you’re even in a city. While there are a lot of cities Harley-Davidson could have chosen, the Bronx is still raw in most people’s minds and would do well as an immediate depiction of what it would be like on a new Harley cruiser. There are other metropolises, of course, that elicit a similar response. Detroit’s one, but it’s far too closely affiliated with automobiles to make the leap to motorcycles. Chicago is another, but maybe the Windy City doesn’t have that same appeal. And Milwaukee was already assigned to Harley’s new engine. Despite being the home of the New York Yankees, the Bronx Zoo, and the New York Botanical Garden, the Bronx arguably doesn’t have a separate identity. It is unknown what Harley-Davidson actually has planned for the name. Industry site Motorcycle.com seemed to be the one that noticed the application first, and noted that it does say it’s for “motorcycles and structural parts therefor,” suggesting it may be a new bike, but Harley has never before named one of its bikes after a place. Polaris Industries has only done it once, with its Springfield model , which it noted was the birthplace of Indian Motorcycle. 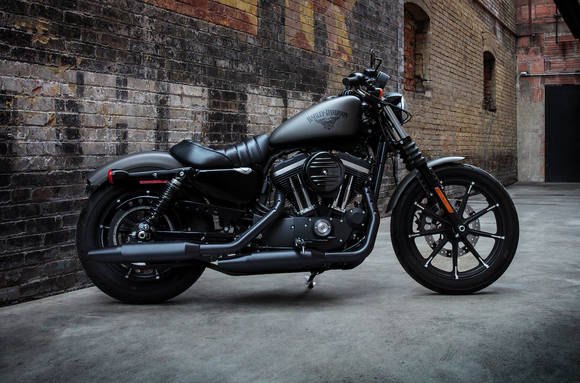 The application also gives no indication of what the bike may look like, though it’s easy to imagine the Harley-Davidson Bronx being part of its Dark Custom line that it introduced several years ago — first with the Iron 883, then with its Street 500 and Street 750 models. It was those models that were supposed to appeal to the new rider demo, as the middle-aged male receded from buying its bikes in large numbers. And though the Streets originally were some of Harley’s big sellers, their appeal seems to have waned. In the third quarter, shipments of bikes in its Sportster/Street segment tumbled 14% from the year-ago period and are down 11% year to date, indicating that the decline is accelerating. In addition to not knowing what the Bronx would look like, we also don’t know when it would appear. An applicant has three years to use the trademark or risk losing it, but the USPTO has said it won’t even assign an examiner to research the application for about three months, so it’s not about to come anytime soon. Still, Harley-Davidson has committed to building 100 new motorcycles over the next 10 years in a bid to bring 2 million new riders to the brand. In 2017 it introduced the Road King Special and the Street Rod, and followed that up for the 2018 model year with eight new bikes that were announced when it said it was folding its popular Dyna platform into the Softail and killing off the V-Rod. Those bikes included the Fat Boy, Heritage Classic, Low Rider, Softail Slim, Deluxe, Breakout, Fat Bob, and the Street Bob. It’s since reintroduced the Sports Glide as well. And not a state, city, borough, village, or Rural Free Delivery name among them. It’s clear, though, that Harley-Davidson needs something that resonates with riders. It’s facing its fourth straight year of falling sales, and there’s not much to suggest that there’s a turnaround coming in 2018, its new lineup notwithstanding. Increased competition, an industry that’s declining, and a portfolio of high-priced bikes in an environment of discounting doesn’t bode well. If the Harley-Davidson Bronx is a new motorcycle, and not just a line of aftermarket parts and accessories like its Screamin’ Eagle line, or worse — tchotchkes with the Harley logo slapped on them — it’s one that ought to be bold enough to change the dynamic for the bike maker. That does sound like something the Bronx could do. David and Tom just revealed what they believe are the 10 best stocks for investors to buy right now… and Harley-Davidson wasn’t one of them! That’s right — they think these 10 stocks are even better buys. Rich Duprey has no position in any of the stocks mentioned. The Motley Fool owns shares of and recommends Polaris Industries. The Motley Fool has a disclosure policy .